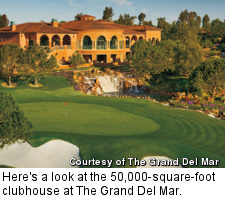 SAN DIEGO -- There are hundreds of golf resorts in the U.S., but when it comes to luxury, almost none are in The Grand Del Mar's league. Only The Grand Del Mar and The Broadmoor in Colorado have pulled off an almost impossible trifecta, winning a Forbes five-star rating in lodging, dining and spa. But Forbes does not award stars for golf, or The Grand Del Mar might well add to its impressive tally thanks to a very private and impeccably maintained Tom Fazio-designed course that climbs, drops and features every hole separated from the others. One of the reasons that is possible is because the course is home free, with no buildings on its 380 acres. The biggest distraction might be one of the club's equestrian trails crossing a cart path. 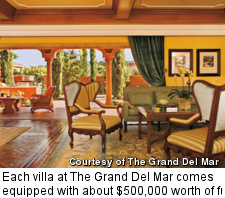 The Grand Del Mar is an exclusive real estate consideration, just as its course is only for resort guests (who pay a pretty penny to stay) and members. The actual real estate is very limited: eight villas, each fractionalized into 10 shares. But that has not stopped at least one wealthy foreigner from snapping up all 10 shares so they can have their own villa year-round. And it is easy to see why they might want to do this. 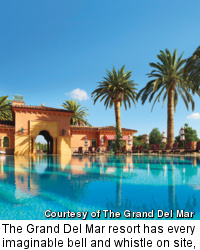 The Grand Del Mar has easily the best restaurant -- and the best spa -- in southern California. San Diego is one of America's favorite tourist cities and the region has great weather year-round. It also has a user-friendly airport -- big enough so there are plenty of flights but small enough so it's easy to get in and out. The resort abuts a huge nature preserve filled with miles of hiking, mountain biking and horse trails. It also has every imaginable bell and whistle on site, including a state-of-the-art fitness center. It is also very close to one of the most revered racetracks in America, the Del Mar Thoroughbred Club, which is another big attraction. Then there is the golf. 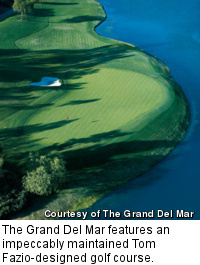 In addition to The Grand Del Mar's golf course, which is very, very good and features skilled caddies, the resort has some of the most impressive practice and learning facilities anyplace. Putting legends Dave Stockton Sr. and Dave Stockton Jr., who teach many PGA Tour players by themselves (with no staff), are based here and are available for consultations. On a recent day Stockton Jr. was giving a lesson to 2009 U.S. Open champion Lucas Glover on the same putting green where members warmed up for their rounds. Then there is The Grand Golf Performance Academy. It has its own short- and long-game areas and every techno device a golf academy can offer -- from multiple high-speed video cameras to K-Vests -- plus a sophisticated custom club-fitting facility and much more. Numerous PGA Tour pros, as well as high-level amateurs, juniors and LPGA players, come here for instruction from the same staff that teaches members. It's that kind of place. The real estate opportunity is straightforward. Each share entitles the owner to five weeks annually, two of which can be locked up perpetually, the other three rotate. Additional nights can be purchased at anytime when available. 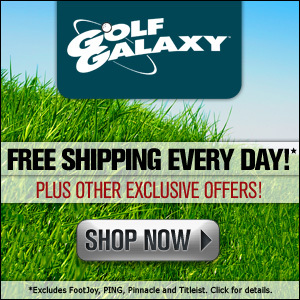 Shares start at $450,000, plus a $10,500 annual fee, which includes the golf membership. The villas are designed in the same theme as the overall resort, which pays homage to architect Addison Mizner, famous for his work in south Florida, a Mediterranean style with elements of Morocco, Spain, Portugal and Florida. Given the great weather, the villas are built with indoor/outdoor living in mind, including private outdoor sunken whirlpool tubs and outdoor kitchens. Each comes equipped with about $500,000 worth of furnishings and artwork. There are two floor plans (one 4,500 square feet, the other 5,000), both spanning two floors with a grand staircase -- and elevator -- plus three bedrooms and four-and-a-half baths. They all have high-end commercial-style kitchens, outdoor fireplaces, two-car garages and high-tech features throughout, including a media room and retractable floor to ceiling windows. 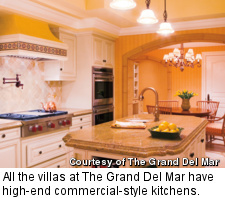 At The Grand Del Mar, living may not be cheap, but it is definitely stylish.